When baking, one ingredient has been a constant in recipes since 1856 – Eagle Brand® Sweetened Condensed Milk. My mom uses it, her mom used it, and so on. Now that I am learning to bake, I'm carrying on the tradition. There are so many uses for condensed milk, from fudge to cookies and cupcakes, and even as a beverage sweetener. No matter how you choose to incorporate it into your recipe, you can rest assured that you are using a quality product that has been in kitchens for well over a century. Eagle Brand® Sweetened Condensed Milk has that rich, decadent flavor that many know and love. I decided that I wanted to make holiday treats but didn't know where to start, since my background in baking previously consisted cookies prepared with pre-made dough scooped out of a tub. Enter Eagle Brand’s The UnCookie Exchange site, featuring incredibly easy recipes. As you can guess, there are no cookie recipes, but you will find various bars, truffles, and much more. 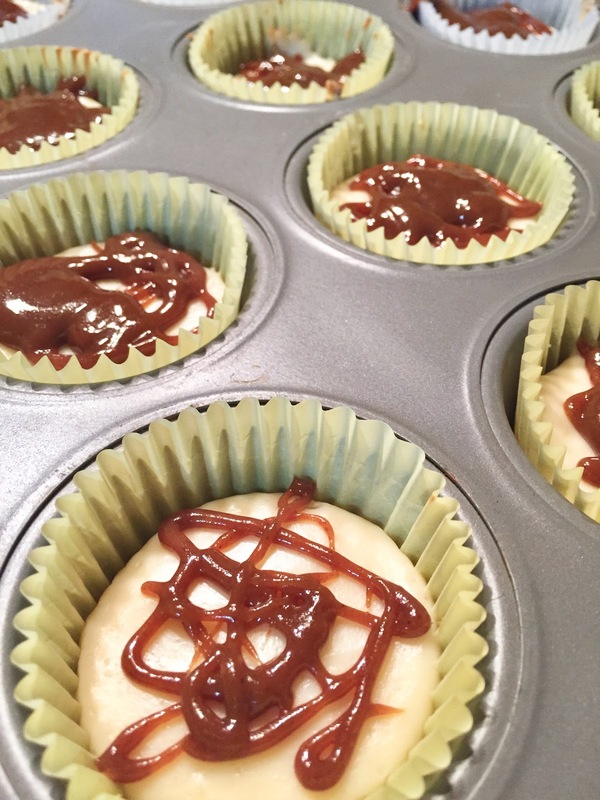 I decided to test out the Salty Caramel Cheesecake Bites and they came out really, really good. These cheesecakes were pretty easy to make, which says a lot coming from me. At first the ingredients list was intimidating, but the items needed were all pretty basic and combining them was simple. The directions were broken down into three steps. 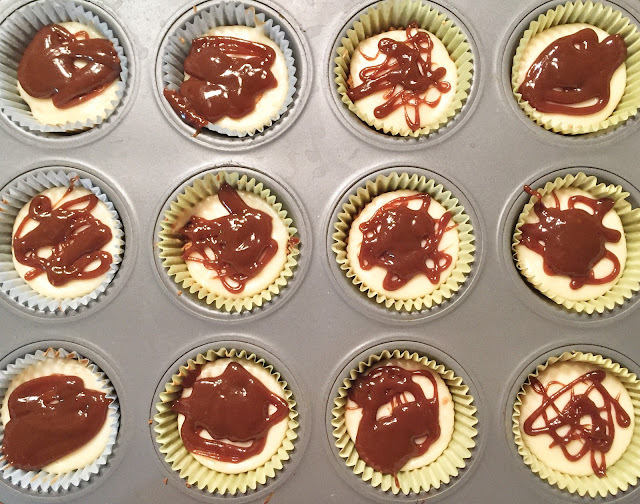 Head over to The UnCookie Exchange for baking instructions, or find out how to make a batch of mini cheesecakes below. 1. Heat oven to 300°F. Line 48 mini muffin cups with mini paper baking cups. Combine graham cracker crumbs and 1 tablespoon sugar in small bowl. Stir in melted butter until evenly moistened. Divide evenly into prepared baking cups using about 1 1/2 teaspoons for each. Press to form an even layer. Bake 5 minutes. Cool while preparing filling. 2. Beat cream cheese, flour and 2 tablespoons sugar in medium bowl with electric mixer on medium speed until fluffy. Beat in 3/4 cup sweetened condensed milk, sour cream and vanilla until smooth. Spoon over crusts until baking cups are almost full. Bake 15 to 18 minutes or until centers are almost set. Cool in pans 15 minutes. Chill 1 hour or until cold. 3. Melt 2 tablespoons butter in small saucepan over medium-low heat. Stir in brown sugar, syrup and remaining sweetened condensed milk until smooth. Cook until mixture bubbles, about 7 minutes, stirring frequently. Cool 5 minutes. Spoon onto centers of cheesecake bites. Sprinkle lightly with sea salt. *The one amendment I have to the recipe is the amount of caramel that it calls for. You can cut it in half and it'd be perfect. As is, too much caramel gets produced and they need to melt a little before eating. My mind is blown that I made something so delicious! In fact, I'm planning on making these again for a Super Bowl party. I also discovered that Eagle Brand® Sweetened Condensed Milk tastes delicious in hot chocolate as well. You can go by the hazelnut hot chocolate recipe, or do as I do, and simply add a few spoonfuls to your mug after you've heated up a pre-packed mix. It adds a nice creamy flavor. Disclaimer: I was provided with product in exchange for an honest review. All thoughts expressed here are accurate and my own, and not influenced by the company in any way. Oh yum, these look delicious! I have never made cheesecakes before!